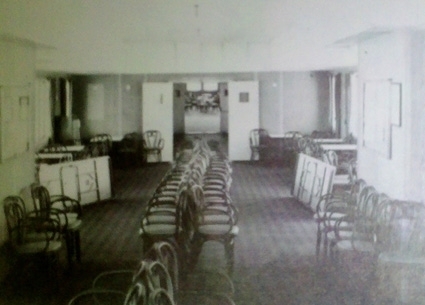 When the NATCHEZ was built, the U.S. Coast Guard mandated that the main dining room be divided into three rooms separated by firewalls. Each parlor was appointed with different décor. The boat was renovated in 1978 and the walls were removed, allowing for one long, elegant cabin.